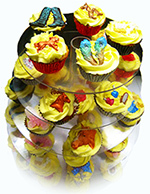 Prices of cupcakes vary from $2-2.50 ea-$8 ea depending on the design – elaborate wedding cupcakes with flowers and fantastic 3D designs are more expensive than imaged birthday cupcakes. 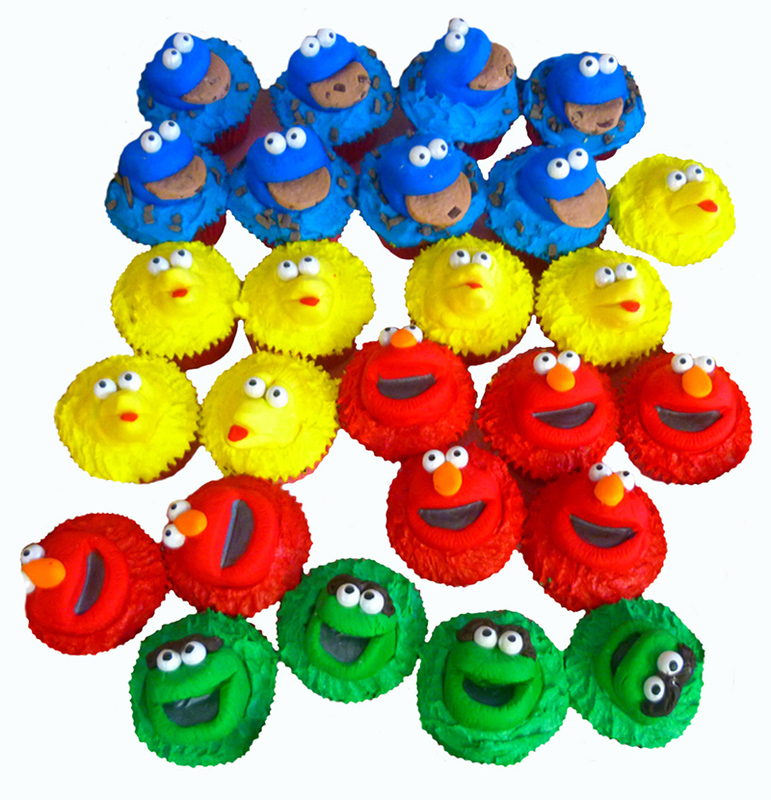 Undecorated cupcakes/muffins in our local supermarket are around $1.80 ea so we consider our prices very reasonable. For decorated sugar cookies we charge a minimum rate of $2 ea and they can be up to $5 ea depending on the design and amount of hours required to make them – cookies with 3D effects such as miniature roses, glitters etc can be more expensive than plain iced cookie shapes. We only make one size – large – base diameter 2”, top diameter 3”, height approx 2-3” depending on design. 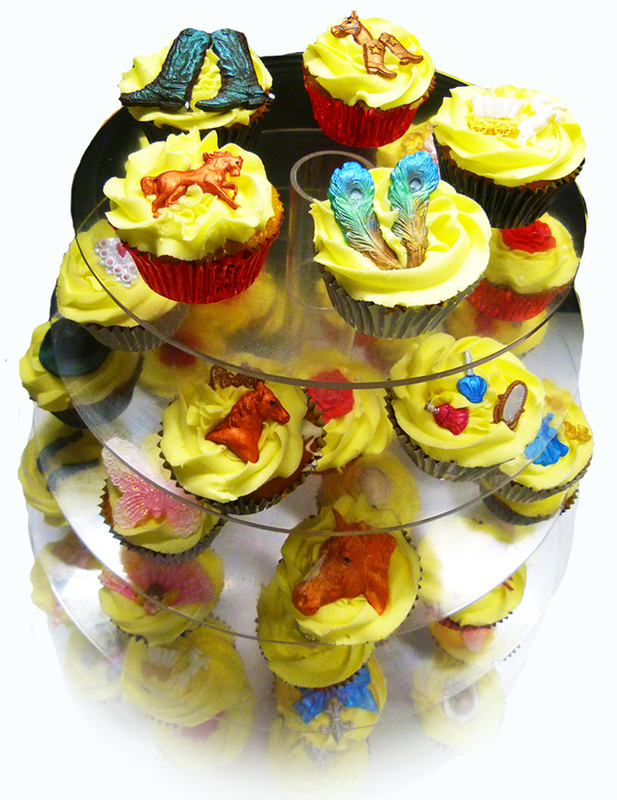 Small and tiny cupcakes are more time consuming and fiddly than the larger ones so we choose not to do them. Average weight of our decorated cupcakes are 40-55g. Adults only R18 – these chocolate shot glasses are edible and made from German chocolate. They sit nestled into a cupcake and I usually make a crème icing or melted chocolate to hold them in place, with shredded chocolate or Cadbury chocolate flake. 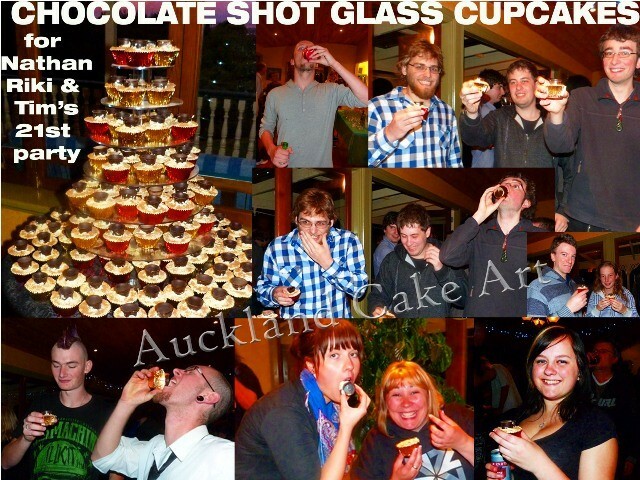 You can pour any liquor into the glasses for shotting (in this photo the shot glasses were filled with Baileys Irish Creme, black Sambuca and some were filled with Willy Wonka candies for the designated sober drivers! Other liquors recommended for these cupcakes are white and dark chocolate liquors, Coruba etc). 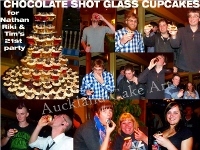 Prices for the German chocolate shot cupcakes are $4.50 each, I do not provide the alcohol or candies for filling. Stand hireage can be arranged.